I have had very good feedback telling me that the previous article on income taxes was an eye opener and was very helpful in understanding the economical climate of Singapore! I thank each and everyone of you for your thoughts! GST or VAT is a “pay as you use” tax. So if you don’t use, you don’t pay. (I am aware that there exists the idea of not charging GST for essential items such as food. We’ll leave this for another article another day) If you’d like an idea of how much of your GST is going into Government coffers, have a look at the previous article. Again, $7b and $8b make little sense when seen on it’s own. To get an idea of it’s scale; the entire Circle Line project costs an estimated $7b. The most glaring question at this point is this: What about the Government Investment Corporation (GIC) and Temasek Holdings? How do they come into the picture? This shows a fuller picture of our current fiscal position. Without Investment Returns (from the GIC etc), our budget would be approximately $6 billion in deficit. Notice the word “transfers” above, under “expenses”. This refers to: Growth dividends, GST credits, GST vouchers, U-Save rebates, SCC rebates, Rental rebates, Workfare, CPF medisave top-ups, Child Development Credits, Top-ups to Edusave Accounts and Post-Secondary Education Accounts, public transport vouchers, funds for self-help groups, CCCs, VWOs, Jobs Credits, Productivity and Innovation Credits, SME cash grants. They also include transfer to the Bus Services Enhancement Fund, the Special Employment Credit Fund, the GST Voucher Fund, the Community Care Endowment Fund, the Medical Endowment Fund, the Eldercare Fund, the Lifelong Learning Endowment Fund and the Edusave Endowment Fund. $56b. That’s how much this country costs to run – everything from charity, aid, defense, street lighting, maintenance, health, subsidies. New roads, new expressways, new MRT lines. All this costs money. A lot of money. It’s an unromantic subject, maybe ugly to talk about even – but it’s very real and sweeping this subject under the carpet is not going to make it go away. Source: Ministry of Finance, Singapore. GST/VAT rates from respective country’s finance ministries websites. Japan just doubled their GST this year to get money to fix the aftermath of the Tsunami. Sweden is 25% tax and my Swede friend is fine with it because all their healthcare, childcare, education are taken care of by the country. On top of that, their income tax is about 50%? 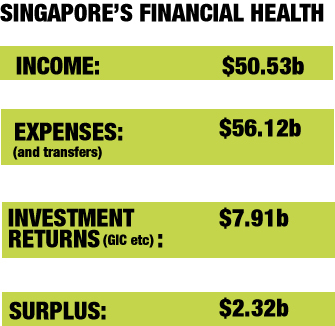 Would Singaporeans be willing to live with 25% tax and 50% income tax in return for their healthcare, childcare and education being taken care of? Our Govt wld definitely be able to make this work if people are willing. But a lot of people want the state to give everything at no additional cost to them. They figured, as trumpeted by the Oppositions, why not just take from our reserves? I know we have a big reserve but it is not unlimitless. In order to get something, you got to give something up. People are not willing to do that. I do not agree with you. If the govt tax singaporeans at 50% but provide everything else foc, why not? The fact is people in Singapore are earning peanuts and yet everything is taxable. 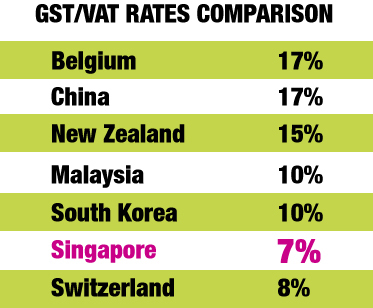 Its common sense to note that our GST is low because Singaporeans are earning so little. How do you expect the govt to increase the GST.Switzerland’s tax is at 8% and a person working at a cafe earns $6k a month. Hmm, if you think it is ok to pay 50% tax, we can’t disagree with you. The tax revenues does not include the profits that the government makes on the HDB. It costs much less to build a HDB flat than the price that it sells to the buyer. 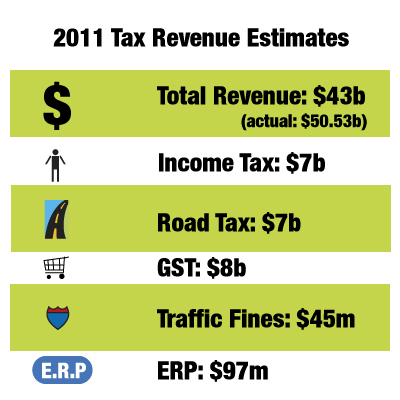 It is not counted as revenue, but it is still money going to the government. The GLCs also make a profit, right? If you go to a hawker stall, you pay $5 for noodles, $1 or $2 goes to rental. Rental goes to Capitaland or Mapletree, and turns up in the “investment returns” part of the ledger. Good that you raised that, HDB is a loss making department. Last year it suffered a deficit of $2b. GLCs make a profit yes, of which some 10% is dedicated to the budget (see above illustrations..or earlier article). The other 90% goes back into the reserves.